Brighton – Dr. Burton Spiller passed away on March 13, 2019 at age 87. He was predeceased by his parents, Sam & Ann Spiller. He is survived by his brother, Jerome S. Spiller of New York City; cousin, Tony Glassman of Rochester, NY; close-friends, Charles Campanella, Steven Lipker of Deerfield Beach, Florida and a large community of dear friends. Dr. Spiller was a prominent Orthodontist in Rochester, NY for almost 30 years. 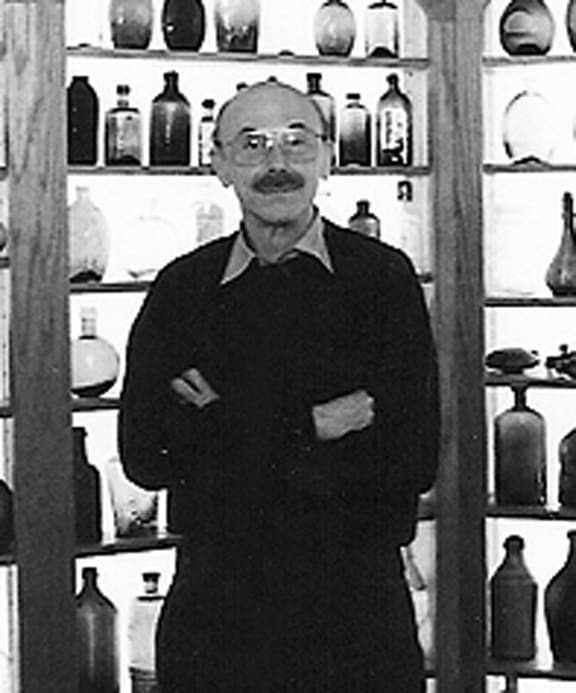 He was an avid collector of early American bottles, history flasks and antique American advertising. His collection was known throughout the country and had been pictured and written about in various publications. He was well known for his expert knowledge on the subject of bottles and advertising and was revered by many. In the late 1980’s his collection was featured on a segment of Good Morning America. He will be sadly missed by many. Published in Rochester Democrat And Chronicle on Mar. 17, 2019. Dr. Burton Spiller was a FOHBC Hall of Fame inductee in 1998. Giving lectures and writing articles, putting on programs and sharing his vast knowledge, he has tirelessly worked to promote our hobby. He will be greatly missed. Read More: Is there really a Burton’s Bitters?